Many people think of sparkling wines as pricey, luxury wines reserved for special occasions. 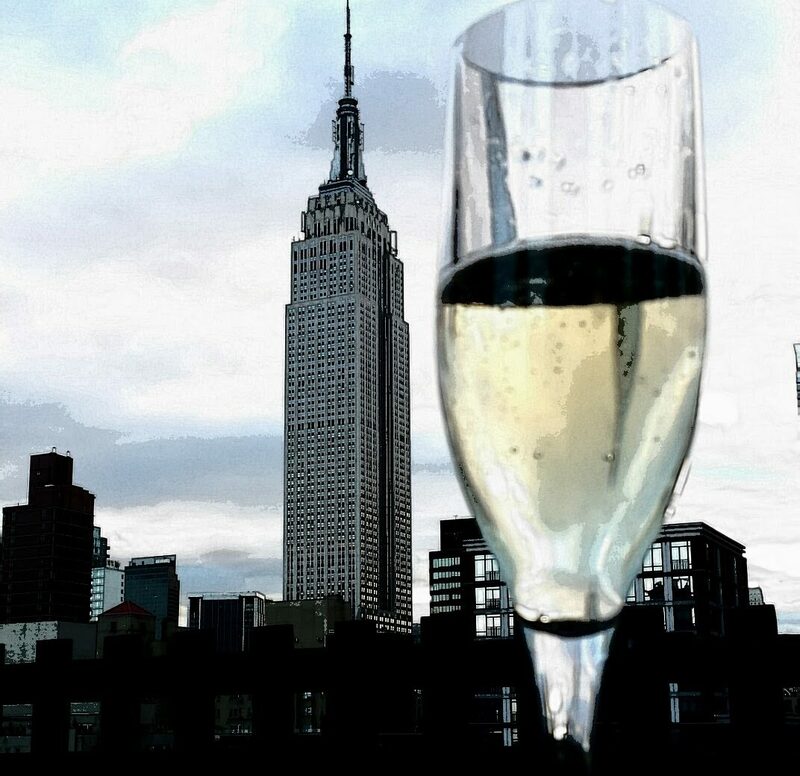 According to a study done by the Wine Institute of California sparkling wine only accounted for 4.6% of total wine consumption in the USA in 2010, most of which was drank between November and New Years Eve. I find this horrible news! 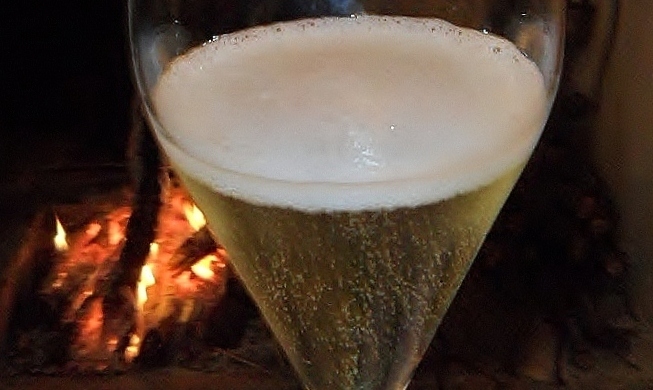 For me sparkling wines make a wonderful start to any evening. Their bubbles lift my spirits at the end of a long day. They pair with many foods. Their lively effervescence cleanses the palate between bites of rich dishes or salty snacks. They dress up that take out carton of Thai food or sushi. Hell, I’ve even found them to be the perfect pairing with potato chips! Although I love French Vintage Champagne I often turn to other wines that are a bit more pocket friendly. In todays wine market there are more than a few interesting alternatives made in the same method as traditional Champagne, with second fermentation taking place in bottle. Consider cremant, the bubbly made outside the region of Champagne. It’s French. It’s bubbly. It’s composed of high-quality handpicked grapes. It’s vinified in the same painstaking traditional way that Champagne is. And it’s delicious! In the South of France, Languedoc-Roussillon is home to yet another French sparkling wine, Blanquette De Limoux. A heady, rich structured wine with an interesting story. 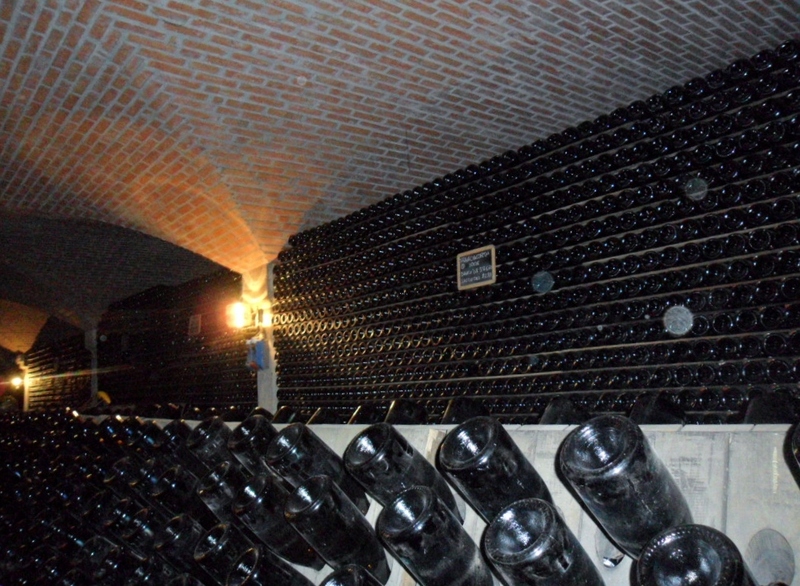 Local wine historians believe that the world’s first sparkling wine was produced in this region in 1531 by the monks at the abbey in Saint-Hillaire, way before Champagne. Thomas Jefferson a connoisseur of French wine was known to have more than a few bottles of this value sparkling in his cellar. From other regions of the world, Spain’s sparkler Cava is wonderfully earthy and unique. Sekt, the sparkling wine of Germany and Austria is often racy and elegant while Italy’s Franciacorta is fashionably taut and well balanced. The USA is also producing some tasty examples in the East, West and a few spots in between. Below are just a few of my best picks priced from $15 – $40, vinified in the same method as traditional Champagne and great finds. I’ve also shared one of my favorite recipes for pairing with many sparkling wines, gougeres with lobster salad. Enjoy! Gruet Brut NV, New Mexico, USA– Brilliant with ultra fine bubbles. A wonderful fine bouquet dominated by green apple and grapefruit flavors. A true classic! Once a sommeliers secret this sparkling made by a French wine family in the USA is a great value. Blanquette De Limoux Brut, Esprit du Sud, NV, Languedoc, France– Racy, marked by its terroir in a typical taste of herbs and botanicals, in its maturity it expresses notes of honey from acacia trees. Well structured in the mouth but staying unctuous. The finish is fresh and elegant. Raventos Brut Cava L’Hereu, 08, Spain– A very mineral driven, clearly delineated, chiseled sparkling wine that is truly first rate. When you taste this wine, you will see why some of Spain’s best michelin three stars such as El Bulli and Arzak continue to feature this terrific cava. Bellavista Franciacorte Special Cuvee DOCG, Italy– Simply beautiful. White peaches, jasmine, minerals, ash and grapefruit are some of the aromas and flavors that come together in this sharp, focused Franciacorta. This is a superb example of Italy’s best reasonably priced methode Champenoise wine. Roederer L’Ermitage, California, USA– Like baked apples in a buttery crust with a dusting of fresh vanilla bean, yummy. What more can I say? It’s great! Clotilde Davenne Crémant de Bourgogne, NV, Silver Label, Burgundy, France– Tons of wet stone and mineral with a crisp lingering finish. This wine is completely dry with no sugar added to dosage. So good with shellfish, either raw or steamed served with butter. Two things to keep in mind when making these. One is that you should have all the ingredients ready to go before you start. Don’t let the water and butter boil away while you grate the cheese. Otherwise you’ll lose too much of the water. Second is to let the batter cool for a few minutes before adding the eggs so you don’t ‘cook’ them. Make sure when you stir in the eggs that you do it vigorously, and without stopping. I’m not a fan of extra clean up, but the intrepid can put the dough in a food processor or use an electric mixer to add and mix the eggs in quickly. If you don’t have a pastry bag with a plain tip, you can put the dough into a freezer bag, snip off a corner, and use that. Or simply use two spoons to portion and drop the dough onto the baking sheet. This recipe can easily be doubled. 1. Preheat the oven to 425F , Line a baking sheet with parchment paper or silicone baking mat. 2. Heat the water, butter, salt, and pepper in a saucepan until the butter is melted. 3. Dump in the flour all at once and stir vigorously until the mixture pulls away from the sides into a smooth ball. Remove from heat and let rest two minutes. 5. Add about 3/4s of the grated cheese and the chives, and stir until well-mixed. 6. Scrape the mixture into a pastry bag fitted with a wide plain tip and pipe the dough into mounds, evenly spaced apart, making each about the size of a small cherry tomato. 7. Top each puff with a bit of the remaining cheese, then pop the baking sheet in the oven. 8. Bake for 10 minutes, then turn the oven down to 375F and bake for an additional 20 to 25 minutes, until they’re completely golden brown. For extra-crispy puffs, five minutes before they’re done, poke the side of each puff with a sharp knife to release the steam, and return to the oven to finish baking. Serving: The puffs are best served warm, and if making them in advance, you can simply pipe the gougères on baking sheets and cook right before your guests arrive, or reheat the baked cheese puffs in a low oven for 5-10 minutes before serving. Some folks like to fill them, or split them and sandwich a slice of dry-aged ham in there, I love them with lobster salad w/ tarragon! See below for recipe,it can also be served on mini toasted roll for a lobster slider. A bit of troubleshooting: The most common problem folks have with pâte à choux, or cream puff dough, is deflated puffs. The usual causes are too much liquid (eggs), or under baking. Make sure to use large eggs, not extra-large or jumbo, and use a dry, aged cheese, if possible. Also bake the puffs until they’re completely browned up the sides so they don’t sink when cooling. If yours do deflate, that’s fine. I actually think the funky-looking ones have a lot of charm and are fine for stuffing if you are a perfectionist! 1. Place the lobster in boiling, salted water until the shells turn from grey to pink, which indicates they are cooked. This usually takes around 10 minutes. 2. Remove the meat from the shells by cracking the shells lengthwise with a pair of sharp kitchen scissors or a seafood cracker. The shell should then peel easily from the lobster meat. 3. Cut the meat into ¼ inch chunks and allow to cool. 4. 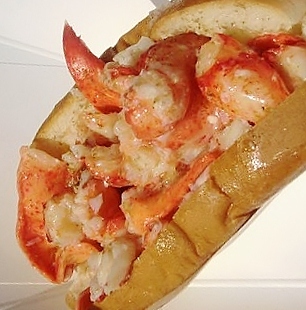 While the lobster is cooling, split the rolls and spread thinly with butter inside and out. 5. Heat a large frying pan and toast the buttered buns on each side. 6. Mix the mayonnaise with the tarragon. 7. In a large bowl, combine the lobster meat, the herb mayonnaise and the celery. 8. Season to taste with salt and pepper. 9. Assemble on bread or puffs and serve with lemon wedges. As an alternative to mayonnaise and celery, you can simply toss the lobster meat, while still warm, in melted butter, season with salt, pepper, a squeeze of lemon, old bay seasoning to taste and then serve in the toasted buns. Have a wonderful time with your friends and family in the next few weeks! Im not going to say what everyone else has already said, but I do want to comment on your information of the topic. Youre truly well-informed. I cant believe just how much of this I just wasnt conscious of. Thank you for bringing far more information to this topic for me. Im truly grateful and actually impressed.